Home / After Earth / Columbia Pictures / Jaden Smith / movie / Sony Pictures / Will Smith / Father, Son Face Dangers in Unfamiliar Planet in "After Earth"
Father, Son Face Dangers in Unfamiliar Planet in "After Earth"
The origins of the project began with an ordinary evening at home. After making “The Karate Kid,” as 14-year-old actor Jaden Smith and his parents were considering the teen’s next project, it was important to both father and son Will and Jaden to work together again. “Jaden and I were sitting around one night, watching TV and talking about how we’d liked working together on `Pursuit of Happyness,' and that we might want to do that again,” says Will Smith. 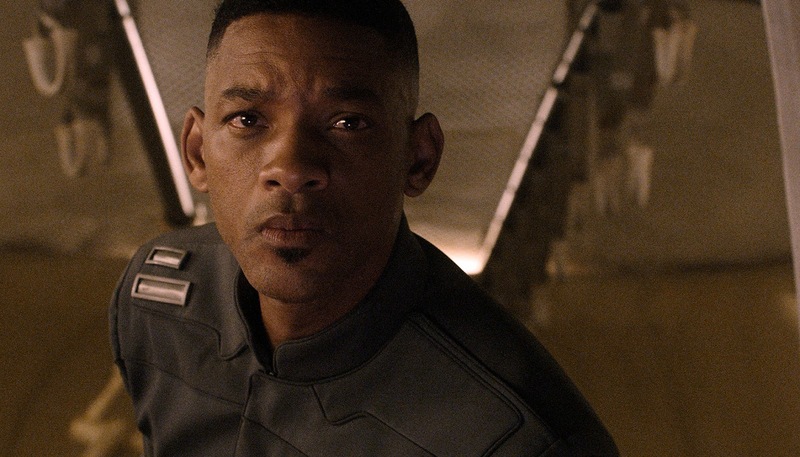 Will Smith would write the story for the film, but that was just the beginning – the filmmakers envisioned a very rich universe encompassing various arenas outside of the film itself. In fact, they would create 1,000 years of back story – resulting in a 300-page bible covering the history of mankind from the decision to leave Earth up to the events in the film, prepared by Eisner Award-winning comic writer Peter David, Michael Jan Friedman, and Robert Greenberger.